Thread: Clean Mod Work Thread! Very nice. I want to do it. If I ever mod my brother's Duo I'll have to use sync on composite. I have an obsession with keeping things as stock as possible, and I want the old AV cable to still work. Not that we'll probably ever use it again. My brother will appreciate that. I totally understand. In my case, all I have to do is solder the resistor back onto the board and it's like nothing ever happened. I measured the value on it as well in case I end up losing it by accident, and I have a permanent online record of the measurement for reference. It's been a while since anyone's asked me to do an arcade stick mod. Here's a Brook UFB installed in a PS3 TE1 stick for a local FGC member. While I'm at it, looking at doing an RGH mod to a Jasper and Slim 360.
anyone have a tutorial or other resource I can reference? 2. 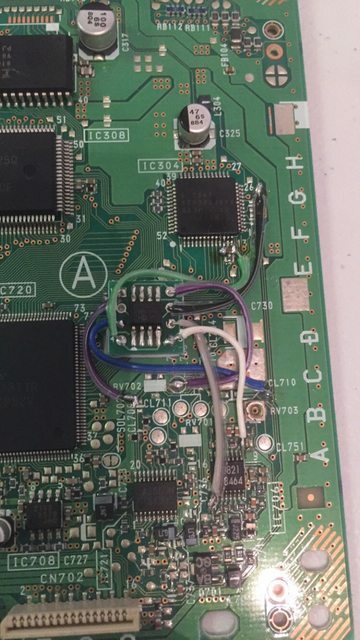 This is by far the dumbest thread I've seen in a while..
As my first mod work on a PS1 I decided to do a rewiring of a modchip. I don't know why someone would use these long wires. Hope this is considered clean. Last edited by embergabor; 09-07-2018 at 01:42 AM. At some point this is considered art... right? Good soldering should be appreciated like art. I am getting to the point in the hobby where I need a good electronics Solder Iron. There is so much information that I can't even make a quality decision without the regret that I did the wrong thing. My current iron is much too large for my future plans (ronson butane turbo torch), but has helped for basic jobs. I know I want something small and precise, but after that I don't know how many watts of a unit, or a good solder composition...hell, I have been using plumbing flux up until now (I clean it all off afterward). 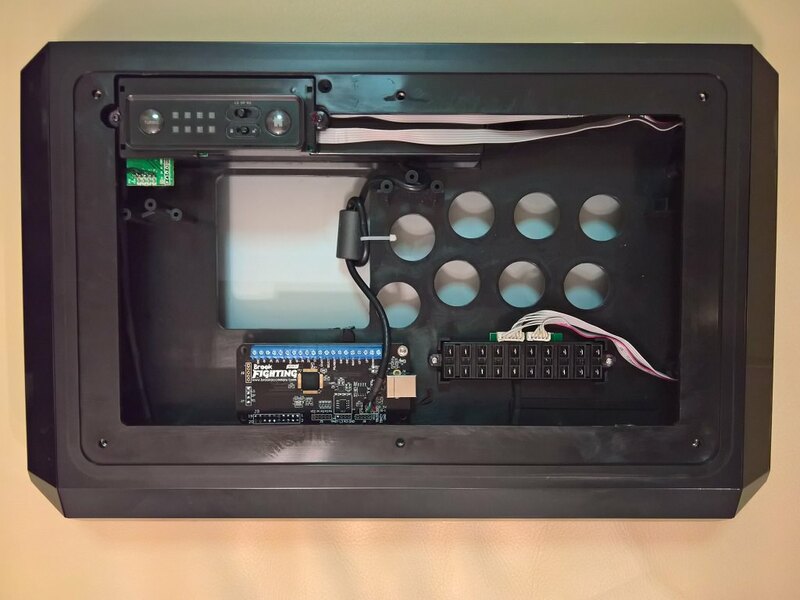 I started large on things that are simple like putting 2 wires together or quick connects, and as the years go on, I am working smaller and smaller areas. I have plans to do a PSIO in the future, followed by a Neo Bios Masta should the Psio be successful. I don't doubt my skill, but I feel that my gigantic furnace iron is getting in the way of progress. I have sold off a few items on ebay recently, and am not working with much, but I think a decent iron would benefit me greatly. High quality & Low cost basic units preferred, but I don't mind spending a bit to get a tool that would most likely last the rest of my lifetime. I guess my long winded question is this: If you had $100 for a soldering iron which would you get? If you had $100 for a soldering iron which would you get? I think a lot of people would say, "Save up more, and get a Hakko." I hear lots of good things about it on here and other sites, but since I only dabble in simple projects, my Radio Shack equipment works out fine. I've heard about some Chinese equipment around the $100 range, but it's very sporadic. The Hakko is the most consistent answer I find. Last edited by JoeAwesome; 04-13-2019 at 11:07 PM. A purchase link to the recommended iron is in the show notes. That said, I've been talking on Discord with folks that have purchased and used that soldering iron and they say that while the functionality is great, the build quality still leaves a lot to be desired. It's a good iron for getting started, but if you want an iron that will hold up to years of use, I echo JoeAwesome in recommending that you save up and buy a Hakko. The Hakko is the most consistent answer I find. I don't know if I would fully make use of a Hakko at this point in the hobby, but I read this pretty regularly now that I am zeroed in on certain things I need. KSGER model carried by Banggood. ....save up and buy a Hakko. I watched that video a few times, and that KSGER unit does look right about my speed. I think that it will be on my list to get in the next week, and if/when it dies from use or I find it lacking I will switch to a Hakko. If that KSGER is not enough for me, I will certainly need top quality. I appreciate your responses. It has helped me immensely. I avoid amazon like the plague. I don't like how they operate as a business, and will spend more to avoid them. That is a great unit at a good price however. Once you get a Hakko everything else seems like tools for barbarians. I'll second that, have been using a FX888D for years, and been very happy with it, no issues. Actually bought one of those KSGER-things from Banggood a few months ago to try it out, and I think it's utter crap. It works, it's easy to use, but doesn't hold temperature very well, and tend to create cold solder joints if going too quickly, something that is never an issue with the Hakko. Paying more for Hakko, Metcal, Ersa, Weller or any other reputable brand, is worth it in my opinion when using the equipment regularly.